a) Incident say , refracted ray and normal lie on same plane . The concept of plane is shown in the image. 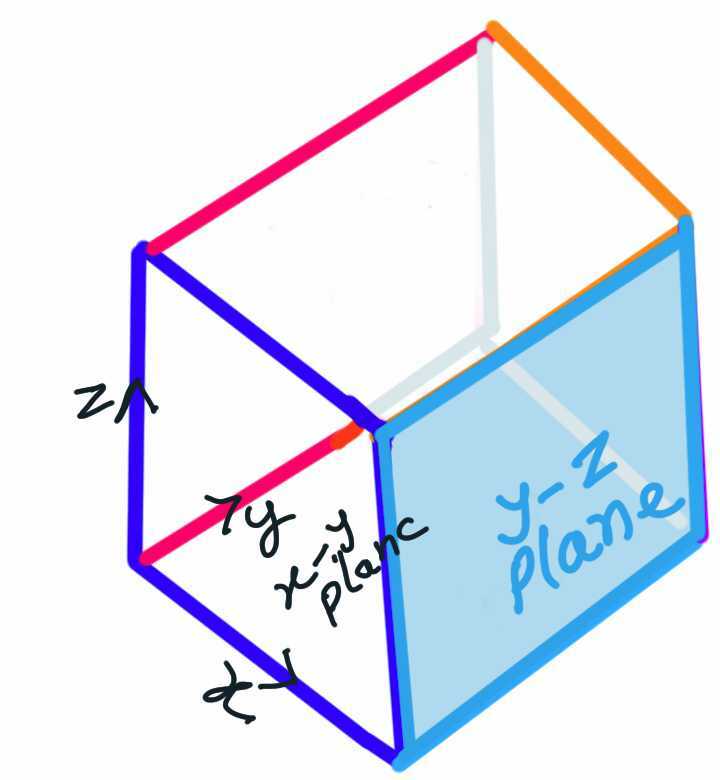 In terms of x,y and z co-ordinate system , the y-z plane is shown in light sky blue colour. We write on our copy which is considered x-y plane. The image is given just for understanding of plane concept. It is not needed while writing the law. Try to image other planes in the image. b) Ratio of sin of angle of incidence and sine of angle of refraction remains constant for a pair of media. i.e. 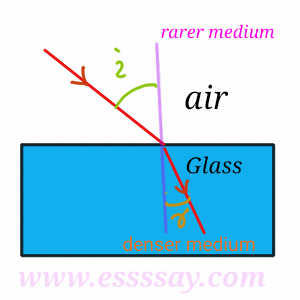 this constant is called refractive index of medium 2 with respect to medium 1. Where n 1 is the refractive index of first medium here air. And n2 is the refractive index of second medium here glass. If you have any query regarding the laws of refraction then comment below.